Considering the ever rising number of players within the Kenya real estates industry, investors, private developers and individual home owners are finding it harder to sell their property in the already crowded market. This is due to the rise in competition levels that’s owing to many people investing in the real estate sector in Kenya. This thus requires that you package your apartment or property appropriately as well as in a lovely manner that draw clients, and eventually have them choose your property over that of other competitors. How exactly do you go about this process of beating competitors to their own game? It is very simple. Just follow these steps and you will find yourself on your way to making that big sale. Engage in a research- The first order of business in preparing for sale of a property is to become accustomed to the on goings in the Kenya real estates sector. Get to know market range prices for similar properties to make sure that you don’t find yourself either over quoting or under quoting your house. Also find out which real estate firm gives best deals in cases of commission they demand which will help you sell the property in question. Get to know the one with a positive deal and go for it. Make sure to offer some incentives to buyers to have an edge over competitors. Prepare your house- These are things such as repairs you will need to do now and again. Paint your property with suitable and attractive colors. Fix any broken appliances inside the home and also the rooftop if the iron sheets are rusted. Be certain that the house looks presentable before you put it up for sale so as to attract buyers. If it happens to be a house in a compound, ensure you mow the grass and trim trees, just in case there is, for the compound to also look neat and presentable. Price your premises appropriately- Investigate neighborhood sales for the past say like one year for you to be knowledgeable about the value range of property within that locality. This will actually enable you to quote a price that is neither unreachable nor too low. High prices especially can be a big shut down to buyers and they are more likely to shy off from overpriced properties. The buyers themselves usually do their research before ordering property, thus they too come armed with tips about the niche price range. Do extensive marketing- This is actually the most useful constituent of selling a house in Kenya real estates. Do extensive marketing in social media, print and not to mention broadcast media, not forgetting word for word marketing. Look for a reputable real estate firm to help you out with this crucial section of selling a property. Negotiating and shutting the deal- Kenya real estates sector is basically a sector with variety, for this reason, similar offers originate from different people and businesses. You need to therefore be all set to receive offers and counteroffers. You should try to actually be flexible in regards to the pricing but avoid stooping too low as well. The Kenya real estate sector is an extremely competitive sector which requires a person to be very original and innovative to be able to cope up with the numerous real estate firms in the industry. You’ll have to all of the time a step in the front of the competitor and this requires generating absolute and creative marketing techniques every now and then. You will have to ensure that you hold up to the tastes and preferences of the clients. This requires you to actually go out there and do a comprehensive research on precisely what the clients want as a way to get in contact with your prospective clients. Identify a target market- A target market by definition is basically a group of individuals having a definite want or requirement for your product or service and are also willing to part with their money for the same. Real estate is a very wide field with a number of clients. You have to identify if by chance your target market are the ones searching for a residence, commercial complex or those looking to buy units. After you have found this, you are able to know what to give your clients and at the same time do the work to the most of your capacity. Segment your market- A market segment is a sub group of persons within your market that share common characteristics that make them identifiable. Segmenting your market helps you as an investor to better know about behavior of your respective clients. For instance do they tend to move to areas out of town or do they like the urban setting? Will they prefer units located near the main road or far from the main road? After you have identified the behaviors of the target clients, you’ll be able to come up with specifically what suits their needs and thus everybody gets what he wants. They get the most suitable properties whilst you laugh to the bank account. Be unique in what you offer- The Kenya real estate being a competitive sector, it is essential that you set yourself apart by presenting items that will catch the attention of your potential customers as well as one that will actually influence them and motivate them to keep coming back for more. You have to be so much better than most, or if possible, your competitors. Give particular attention to little things like the home design, overall cleanliness of the house or compound; paint the home to make it look more attractive and such like things. With all of these you’ll be able to get more clients and as well retain the in-existence ones. Engage a wide variety of marketing strategies- Most investors within the Kenya real estate market make the mistake of employing just one marketing strategy and assume that they are well off. You need to inculcate various marketing concepts such as internet marketing, direct, newsletters and many other kinds so that you can generate maximum results. Land is regarded as one of the most precious natural resources in Kenya that makes it among the most sought after commodities by people from all walks of life both in the nation and not to mention people from foreign countries. Most investors particularly prefer lands in Kenya for their diversity and adaptability to fit the various categories of investment. These include agriculture, commercial investment, rental units, hostel facilities, villas and holiday resorts. With lands in Kenya, a financier can’t ever make a mistake and one is sure of receiving a return on his investment in a limited time span. Land also happens to be a tangible asset whose value is always appreciating, meaning that if you acquire a portion of plot today, then in the next three or four years, its value will probably even double, going by the current trends in Kenya. Commercial investment- Many buy land to build commercial structures which often have excellent returns. Although it requires a lot of money to see this kind of project through, the possibility to generate considerably more money makes it worth the hustle and risk. The moment the buildings have been erected, one can either trade them right away for a big sum or rent all of them out for a monthly pay check. Building a home- Many people buy land having the purpose of building their dream home on it. This is especially ideal for the high end constituents of the society with enough money to construct a house of their dreams. Aside from the personal benefits of putting up a house for purposes of staying in it, the value of that very land is sure to go up in value with a nice home built there. Land itself is a perfect investment- The most important intention people put money into land for sale in Kenya is purely for investment. Land, being an appreciating asset entails that the property value would go up as time goes by. People who have a long-lasting plan could potentially make cash by buying land, waiting for the value to go up then reselling it for a higher profit. Agricultural purposes- Most lands in Kenya are incredibly fertile and support farming activities such as crop growing and cattle keeping. An individual can buy land for either subsistence farming and also for large scale farming of crops like maize, tomatoes, cassava, vegetables and many others. One can also engage in widespread production of timber and sugarcane. An investor can’t just fail with farming in Kenya since agriculture is the primary source of food and livelihood in Kenya. Conservation- Some environment conscious people buy land for the sole reason of conservation purposes. This is usually performed by buying large tracts of land and thereafter fencing it and maybe plant trees in the said land. This reason for buying land provides more moral than financial gain, though monetary gain may often be accomplished. Land is a tangible asset- Investing in lands in Kenya is among the safer categories of investment in that it is extremely stable, with the fluctuating economic standing. 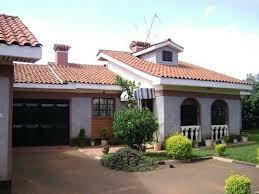 Riat estate in Kisumu is situated beside Mamboleo, in the area of the Kisumu-Kakamega highway. 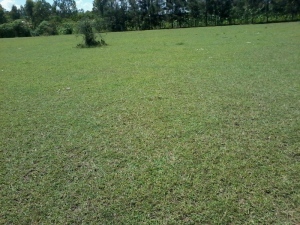 It is a hilly estate with a great potential for any kind of investment that anyone might need to run. This is an area that any serious investor aiming to spend on land for sale in Kisumu cannot just ignore. The area has quite a unique versatility in that it is able to support various investment ventures namely; agriculture, hotel business, hostels, business complexes, villas and on top of all these, it is one of the best destinations to build up a personal home. Riat estate is increasingly boasting of a new kind of neighbors, mostly characterized by moneyed individuals and real estate property investors with a vision for affluent urban living designs. The hotel business is primarily very suitable in this region considering its quietness, serenity and also its magnificent view. With more developed hotels within the region, like Ukweli resort already thriving, the area is basically a promising site for hotel business. A lot of people looking for hotel services usually seek the out of town setting and that’s actually what Riat hills entail. The picturesque view of the estate only serves to boost its capacity and credential to sufficiently host and accommodate the hotel industry. The area is also suitable for construction of villas, cottages or perhaps holiday homes. The setting of Riat hills can offer a good day or two holidays or perhaps even a family outing. Serious property developers with good money to boost them can venture into this fresh idea that is yet to actually be fully utilized. Already, a Swedish real estate property developer, Coromandele Investment Limited has set pace within the area for this form of investment with an intention to set up luxury Swedish designed villas to be known as Hills villas. Homes Africa, a listed real estate firm is also all set to set up gated community within the same area on a 72-acre piece of land some of which it’s still supplying to buyers wishing to build holiday homes. The venture of villas and holiday homes is slowly picking up in Riat and it’s just a matter of time before it reaches its peak. Therefore a wise investor should rush for a piece of this part of land for sale in Kisumu in anticipation for the expected boom in business sooner or later. Rental apartments are likewise viable venture in the Riat hills. With more affluent people moving into the neighborhood, there is absolutely going to be a demand for rental units for the high income earners who are still not ready to build their personal homes. Already, some real estate property developers have moved in and constructed units in order to accommodate such clients. A good example is the Victoria hills apartments, which is a gated community being inclusive of 24 units. The higher population in the area will create a need for a shopping complex, thus the demand for commercial buildings. Kisumu County is amazingly filled with natural resources, land being one out of those. Most lands in Kisumu County are not being gainfully utilized. There are various lands lying fallow in some regions of the County. Furthermore, a number of mud houses are still erected in very prime lands in areas like Manyatta, Nyamasaria, Obunga as well as some places in Migosi. This is wastage of land which might otherwise be bringing in an incredible number of cash. There’s need to convince and resettle owners of such lands to make sure that serious structures can be placed in place of the mud houses which are currently built in such lands. These plus other numerous large tracts of land lying fallow happen to be among the available land plots in Kisumu land for sale. Affordable prices- Lands in Kisumu are fairly cheap and affordable. The price values are friendly to investors meaning that investors are in a position to get back a return on their money quickly. It’s simply because lots of the lands are located within the outskirts of the town thereby being fairly cheap. Suitable for farming- Majority of land in Kisumu region are considered to be very fertile to support agricultural activities. These lands which are suited for agriculture are located in remote areas within Kisumu County and hence come at a fairly more economical price in relation to those in cities. There’s also available marketplace for the majority of these farm produce. Accessibility of these areas makes transportation of farm inputs and products to and from the farm easy and convenient. Strategic location-Kisumu County is adjacent to Lake Victoria and so has the beach view which happens to be a sight most tourists prefer. For the individuals who prefer an out of town view or feeling, you will find places like Riat located on the hill tops which also offer a good view and ambience. Most Kisumu lands for sale aren’t prone to natural catastrophes like flooding, droughts and very heavy rains, thus a risk-free haven for farming. Most lands are on a freehold basis- A large number of lands in Kisumu County are on a freehold basis. As soon as you purchase the land you become the absolute owner and you’re not required to pay any extra charges in future like land rates. This is usually appealing to most investors since you can go ahead and do anything on the land as soon as you have purchased it. This is unlike lease hold lands whereby the government can occasionally dictate what you should do on that particular land. The government may even fail to renew the lease in case you have not been doing anything it deems constructive with the land. Be quick and acquire a piece of plot in Kisumu to partake of these advantages that you get with Kisumu land for sale. There are a few areas that have a unique ability of supporting numerous investment opportunities and Nyamasaria happens to be this kind of area. Situated alongside the busy and recently completed Kisumu-Nairobi road, Nyamasaria location has cut a niche for itself as an ultimate option for investors to pitch tent in land in Kisumu. Recent statistics provided real estate firms illustrate that Nyamasaria has one of the most enquiries for land available for purchase. The formerly latent area has caught the eyes of investors, both local and foreign who are rushing to acquire pieces of plots in an area that is slowly being a town on its own. As a matter of fact, Nyamasaria residents find no reason of going to town given that they can buy all they are in need of within the estate, whether it is food, supermarkets, restaurants, hotels and even clubs. Its strategic location (along the main road) makes it to be a possible commercial hub. With commercial ventures already occurring in this particular location, this is a clear indication of the potential vested in this area. Nyamasaria is the home of various businesses including Ukwala supermarket, Royal city hotel, as well as a petrol station. There are several other small enterprises within the area which happen to be doing perfectly well. With large number of pieces of plots still found in this prime area, this leaves room for setting up of more business premises. More individuals are finding Nyamasaria a very good area to reside in. This calls for construction of more rental units to fit the increasing number of persons seeking to stay in this area. There’s essence to stretch the estate to the neighboring Kasule and Manyatta estates due to the reason that the area is becoming undersized for residents. This growing number of residents implies that there is pressure on the available social amenities like dispensaries, hospitals, schools. This is another opportunity for a scheming investor to come up with such facilities in Nyamasaria and take advantage of the high demand versus the low number of these facilities. A hospital for example is apparently a most welcome idea and can certainly be highly embraced by the local residents. More schools too should be made available to accommodate the increasing number of children within the area who need learning facilities. Based on these, there is the need for more hostel facilities and not to mention institutions of higher learning. 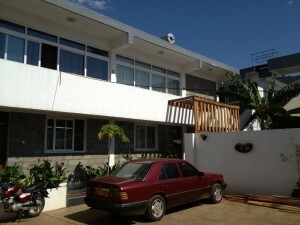 The neighboring Kisumu polytechnic and the Nairobi university branch situated in megacity are tertiary institutions with a large number of students in dire need of hostel facilities and Nyamasaria is the ideal site to offer these accommodation facilities because it is the most immediate estate to such institutions. Nyamasaria estate, just like most available land in Kisumu is really ideal for farming activities and even cattle keeping. Previous residents have still maintained these practices and even some of the new ones are embracing agriculture which is doing quite well in Nyamasaria. I’d therefore urge any investor in search of an investment opportunity in land in Kisumu to provide Nyamasaria a chance. Kakamega is located in the Kakamega County which is in the western part of the Country. It is formerly the headquarters of the now defunct Western province. The region is primarily noted for its farming activities but recently, tourism has come up as an economic powerhouse in lands for sale Kakamega. The tourism industry in the area recently emerged as amongst the major contributors of the region’s gross domestic income, alongside other vital sectors such as the real estate, fishing and the predominant agricultural sector. Kakamega is the home of the legendary Kakamega forest which offers unique wildlife and scenic beauty. It is a suitable place for tourists who are into bird and butterfly watching. It’s because of the mix of bird and butterfly species which the forest has (300 and 400) species respectively. Moreover, the forest has 27 species of snake, more than 350 species of trees and seven primate species including Debrazza monkey, black and white colobus monkey and vervet monkey. There’s the Kakamega national reserve that’s situated in the Lake Victoria basin. It also offers a wide range of rare species of wildlife as well as a great scenic beauty. The Kakamega national park offers another tourist attraction site in the area. The crying stone of llesi is an additional significant feature which will strike you in this region. It is a stone resembling a human being, perpetually in tears from top to bottom. The notion surrounding this peculiar stone amongst the locals only adds flavor to its existence. This is certainly one feature that you cannot just avoid while visiting this interesting region of lands for sale Kakamega. These activities are set to see the tourism sector in the region grow by a big margin as it is set to give the sector the suitable impetus to further steer its growth. Thus the County is about to obtain more income. With these set up, Kakamega is set to become major economic hub in western Kenya and also in the entire Country generally. Any keen reader would have noted that all these tourism activities will have generated a dire need for major hotels to be constructed in the region aimed at accommodating the increasing range of tourists in the region, which is still set to rise with time.